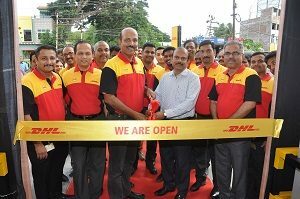 To process increasing consignment volumes faster and better serve customers, Spoton recently opened new service centres in Bangalore, Kolkata and Vijayawada. The Bangalore service centre, located at Soukis Road, is spread across a sprawling 17500 sq. feet. The Kolkata service centre, located in Narayanpur, covers an area of 12000 sq ft and the Vijayawada SC covers an area of 39500 sq ft. The company has enhanced their hub and service centre infrastructure by over 50 per cent in terms of size and geography. Set up at the Indian plant of US-based Cargill at Kurkumbh near Pune, Maharashtra, the state-of-the-art and technologically advanced warehouse will operate on the automatic storage and retrieval system (ASRS) technology. Avvashya CCI (ACCI) has commenced operations at its first hi-tech food warehouse. 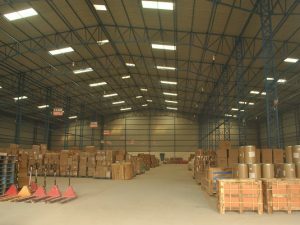 “The successful setup of the warehouse reiterates our commitment to deliver bespoke warehousing solutions to our clients. It is also a perfect synergy of operational excellence and technical skills of the CL team and business leadership team of ACCI which oversaw the roll-out and implementation of the project,” stated V.Raju, VP-Chemical, Food & Pharma division, ACCI. FM Logistic has announced its plans to invest US$150 million over five years, as part of its strategy to grow in India. 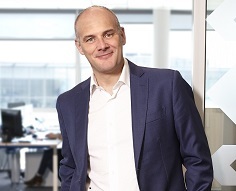 Jean Christophe Machet, Global CEO, FM Logistic said, “India is one of the key strategic markets for FM Logistic. 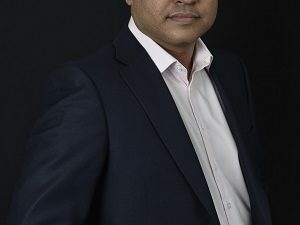 The company is planning to make strategic investments in India to support its long-term growth.” “The company plans to strengthen its position in India by delivering on its post GST strategy of focusing on developing multi-client facilities (MCF) in the most important Indian Economic Zones. The successful opening of company’s first MCF in Mumbai (with extension in progress) will be followed by another MCF in Delhi NCR (near Gurugram), which is expected to commence operations from April 2019,” he informs. Pepperfry further strengthened its market leadership by announcing the receipt of International Organization for Standardization (ISO) certification for their Mumbai fulfilment centre. This makes it the first warehouse to be ISO-certified with three critical certifications in the country and the only one in the furniture and home segment in the country to attain this accreditation. The certification was bestowed upon the marketplace by Bureau Veritas. The company’s Padgha (Bhiwandi) warehouse spanning across 285,000 sqft received certification for ISO 9001:2015 (QMS- Quality Management System), ISO 14001:2015 (EMS- Environment Management System) and ISO 45001:2015 (OHSAS- Occupation Health Safety and Assessment Series). The ISO 9001:2015 certifies the high emphasis on quality and operating efficiency of Pepperfry Fulfilment Centre. 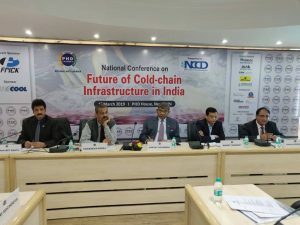 Highlighting the challenges and the way forward for the Indian cold-chain industry and to understand the impact of cold-chain systems in doubling farmers’ income, PHD Chamber of Commerce organised the national conference on Future of Cold-chain Infrastructure in India, in New Delhi. 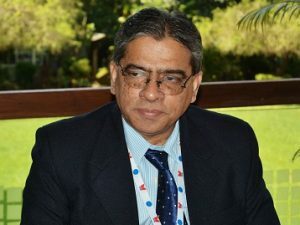 Anant Swarup, Joint Secretary (Logistics), Department of Commerce, Ministry of Commerce & Industry, Government of India, speaking at the event, said, “There is no integrated approach in the logistics industry and the government is trying to connect the dots. It is the government’s vision to double farmers’ income, and with the agri-export policy, we are trying to serve the objective.” He also claimed that the country’s shift from cold storage to cold-chain was a positive one. “It is time for industry stakeholders to step in and get involved with the challenges and solutions,” he added. Addressing attendees, Ashish Mohan Wig, Managing Director, National Horticulture Board, Ministry of Agriculture and Farmers Welfare, Government of India, said, “The industry is facing several challenges, from lack of quality warehousing infrastructure to connectivity issues. We talk about Skill India, but we are not looking into skilling in the warehousing industry,” he said. IndoSpace has forayed into Gujarat with the launch of its park in Bavla, near Ahmedabad. The cutting-edge industrial and logistics park on the Ahmedabad-Rajkot national highway is spread across 47 acres. It is located close to the industrial hubs of Sanand and Changodar, and has easy access to Kandla and Mundra ports. The facility will help IndoSpace move towards its goal to build a pipeline of 120 million sqft of modern logistics infrastructure to support the growth and modernisation of India’s supply chain. 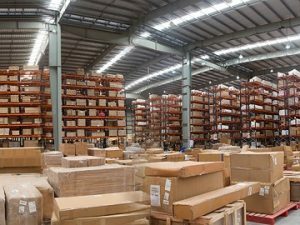 With GST and growth in e-commerce, India’s warehousing and light industrial manufacturing is demanding new capacity with large-scale, state-of-the-art infrastructure and locational advantages. Accordingly, IndoSpace is planning to build two more logistics parks in Gujarat. “The Bavla industrial park not only marks our foray into Gujarat, it also shows our clear determination to strengthen our leadership in the light industrial manufacturing space. We plan to invest Rs 650 crore in new parks across Gujarat. Upon completion, the projects are expected to generate employment for more than 10,000 people directly and indirectly,” said Rajesh Jaggi, Managing Partner, Real Estate, Everstone Group. 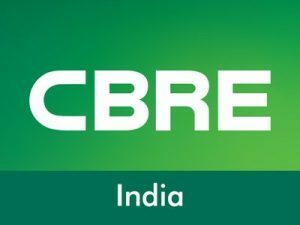 As per the CBRE South Asia latest report ‘India Industrial and Logistics Market View, H1 2018’, cities like Bengaluru (25 per cent), Delhi-NCR (21 per cent) and Mumbai (20 per cent) are driving the potential demand for logistics and warehousing space, followed by southern markets including Chennai (12 per cent) and Hyderabad (10 per cent). Leasing activity was primarily driven by consolidation and expansion initiatives of firms belonging to sectors such as e-commerce, 3PL, retail, and engineering and manufacturing, which together accounted for more than 75 per cent of the leasing reported during the review period. The findings stated that the transaction activity continued to gain strength in H1 2018 as close to 10 million sqft of space was leased across the seven cities, an increase of about 45 per cent as compared with H1 2017. This is due of policy reforms that the sector has undergone in the past two years (particularly the implementation of the GST), as more and more corporates in this sector consolidate their operations and locate closer to consumption hubs, thereby driving demand for larger warehouses. With an objective to deliberate on trade related issues and policy matters pertaining to exports from Eastern India, an interactive session was organised under the aegis of FIEO with Suresh Prabhu, Minister of Commerce & Industry & Civil Aviation recently. Nari Kalwani, Regional Chairman, FIEO Eastern Region, stated that trade restrictive measures, volatility in currencies and liquidity challenges were rising threats to India’s exporters’ community. He stressed on the need for streamlining infrastructure and logistics issues to boost exports from Eastern Region. The issue of cargo detention at Indo-Bangladesh border due to infrastructural bottlenecks, was a matter which should be taken up through bilateral discussion between the two countries. Prabhu stated that he was glad that the number of exporters were rising in India. In the month of June 2018, there was a 20 per cent rise in exports of India as compared to the previous month. The government has taken large number of measures in few months to promote exports, amidst rising protectionism in developed countries. He also mentioned how India has taken a firm stand at international level to emphasise on the role of WTO for resolving global trade disputes. The 8th edition of India Warehousing Show, underway at Pragati Maidan, New Delhi, gained a good start through numerous product launches and an increased number of footfall this year. 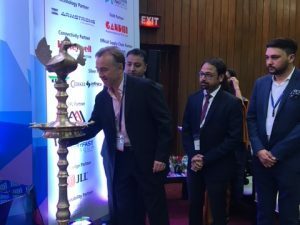 The summit, which is themed as â€˜The evolutionary leap forward â€“ India warehousing optimising procurement, manufacturing and distribution services in Indiaâ€™, aims to cover pertinent interesting subjects of the industry, be it the e-Way Bill, warehouse of tomorrow, age of automation, to name a few. The summit will conclude on June 23, 2018.